In May 1940 Herbert Lee became the tenant of Newland farm, Arborfield, and as well as farming, he took part in the life of the community, serving both on Newland and Arborfield Parish Councils. Newland Farm was part of the Newlands estate and as such was offered for sale with the rest of the Estate in 1947 by the Simonds family. It was ‘Lot 2’ of the sale and described as ‘The Well-Farmed Agricultural Holding known as Newland Farm, Arborfield, extending to about 235 acres 2 roods’. The farm extended to Pudding Lane in the west, the old Bear Lane north of Monk’s cottage, and Wood Lane in the east. It didn’t include the field behind the school. The farm also included some cottages adjacent to ‘The Swan’ and also Hazelton’s Copse. The majority of this Lot was in the occupation of Mr. H. G. Lee on a yearly Michaelmas tenancy at an informally apportioned rent of £280. 18s. 0d. per annum. In July 1948 Newland Farm was offered for sale once again. On this occasion 248 acres 1 rood 32 poles of land were for sale and a block of three brick and tiled cottages were added to the sale. These are situated between Cole Lane and School Road. Hazelton’s Copse was not included in the sale, but there was an option to purchase the freehold for £100 up to 24th June 1953. In 1950 Newland Farm was sold to the Griffiths brothers of Stokenchurch whilst Herbert Lee continued to farm it. Almost immediately the Griffiths cut down 400 oak and elm trees for use in the furniture industry in High Wycombe, and later in 1971 they felled another 250 oaks, the rest of the elms having died of Dutch Elm disease. 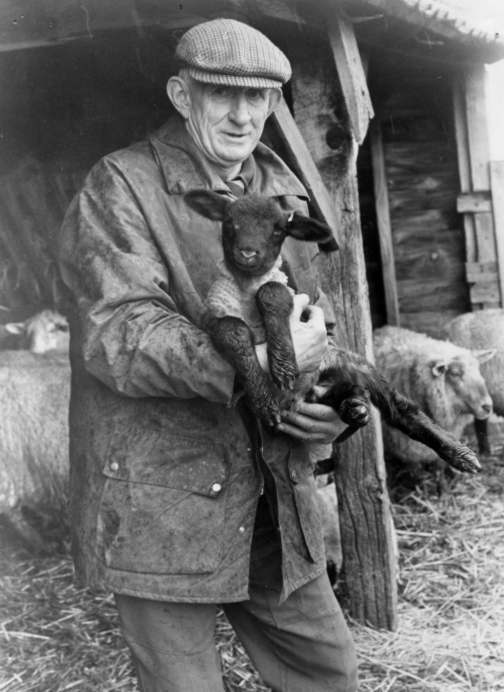 Until 1963, the mainstay was dairy cattle (as noted in some detail in the Local History Recording Scheme), but Herbert Lee wasn't given permission by the landlord to erect new milking sheds, so the emphasis turned to rearing sheep, which were first introduced in 1963. By 1975 the brothers had died and Henry Lee was offered first option on the farm, which he took and bought it. Henry has been the owner of Newland Farm ever since. Herbert Lee, Henry’s father, died in 1994 at the good age of 87 years. (With grateful thanks to Mr. Henry Lee for his help). A successful fete and pony gymkhana was held at Newlands Farm, by permission of Mr. Lee, on Saturday. The various events and side-shows were organised by former members of the Home Guard and Royal Observer Corps and their wives, and music was provided by the band of the R.E.M.E. School. General Sir S. Sturges and Brigadier E. W. Chadwick judged the mounted events.